Rental machines for home owners: These machines can be rented from hardware and departmental stores, usually for 24 hours or more. 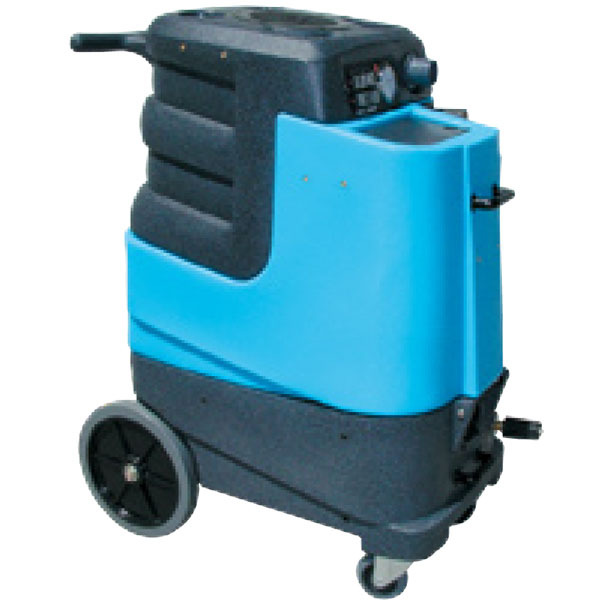 These are suitable for minor spills and cleaning of lightly soiled traffic areas. These machines lack the suction power needed to remove soil and the deep cleaning required for your carpet pile and to maintain carpet manufacturer warranties. Smaller less powerful vacuum motors and solution pumps are used in these machines. Typically, these machines can run on one 15 or 20 ampere electric outlet using one cord. Professional Portable Extractors: These machines are more powerful compared to residential units and they have advanced vacuum motors and solution pumps. The number and size of powerful vacuum motors and pumps and sometimes smaller heat exchangers differentiates these machines from the home owner rental machine. Some more powerful machines may have two power cords to enable household circuits to cope i.e. running on two separate 15 or 20 ampere circuits. Excellent and desired results can be achieved with these machines if the technician of operator has the right knowledge and training. In certain situations, e.g. 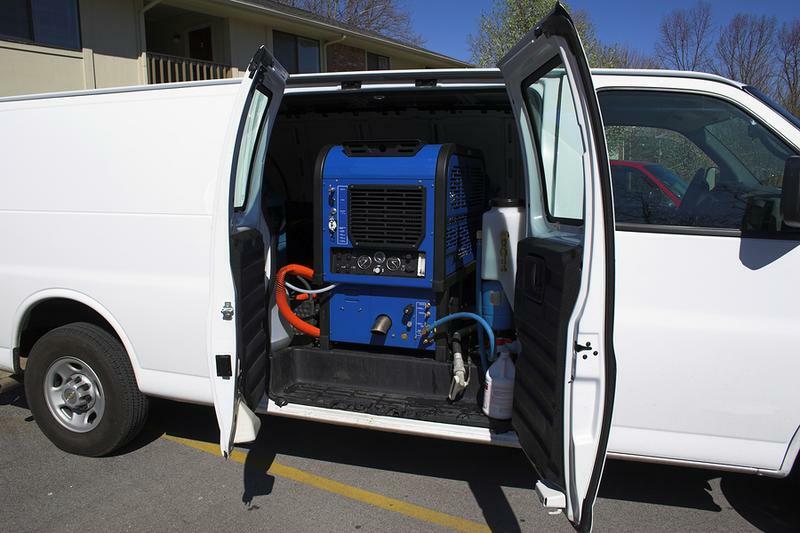 some high-rises, banks and other areas not easily accessible by vans can only be cleaned using a professional extractors. At 123steamclean, we have professional portable extractors for certain situations in carpet cleaning. 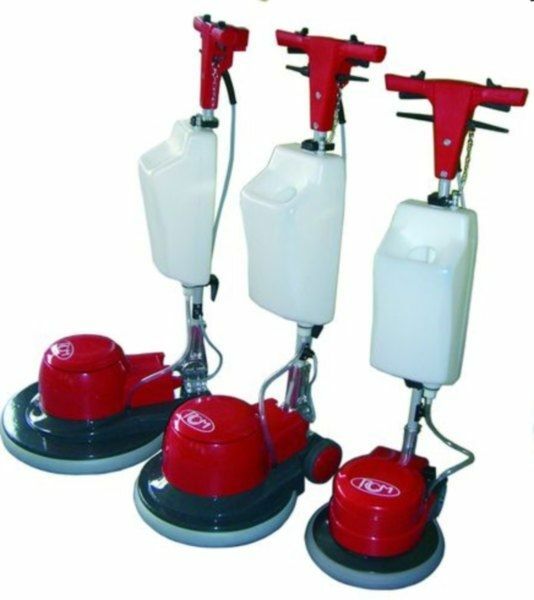 We also use these for furniture and motor vehicle upholstery cleaning. Truck Mounted Extractors. These machines are beasts when it comes to carpet, tile, hard floor and pressure washing cleaning. They have large independent engines or some run off the motor of the cleaning van. They can develop up to 3,000 psi of pressure but for carpet cleaning; only 100 to 500 psi is needed. These machines have large onboard heat exchangers or gas water heaters running off propane, diesel or kerosene that will heat the water to 200 degrees plus. Instead of vacuum motors, truck mounted extractors use large vacuum blowers to generate extreme suction power. These machines cost more and leave the carpets drier when operated properly. Need carpet cleaning in South Bend, what are your choices? Continue reading below to learn more and what 123steamclean can do for your carpets. 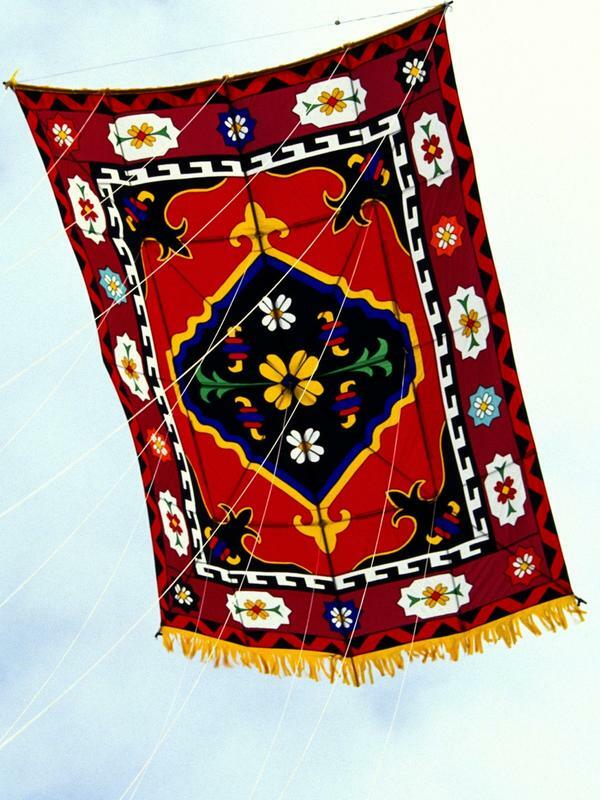 We also clean furniture upholstery and area rugs. We use truck mounted extractors as our preferred method. This gives desired results, customer satisfaction and cleaner, brighter and rejuvenated carpets. Contact us today to experience the power of water hot carpet cleaning. 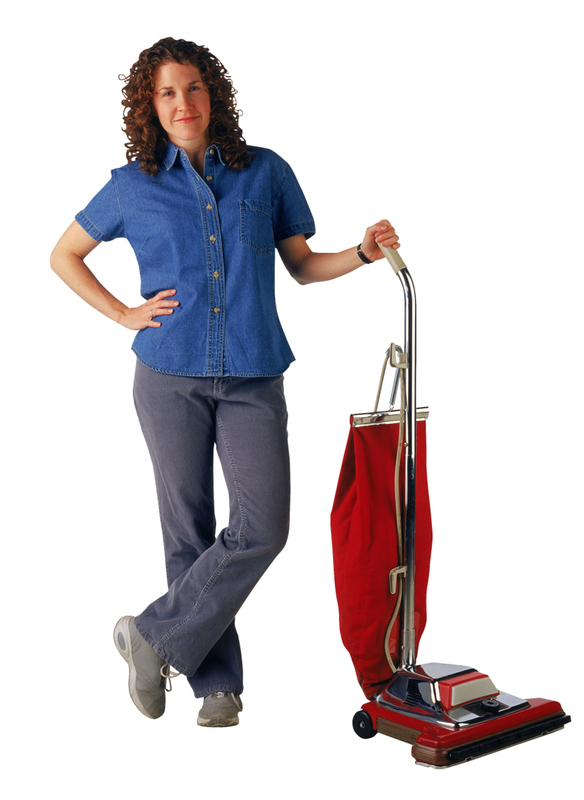 Carpet cleaning South Bend, Mishawaka, Granger, Elkhart and Niles is our specialization. We offer two different carpet cleaning methods i.e. Hot Water Extraction and Shampoo / Bonnet. For residential carpets, the major carpet manufacturers recommend the hot water extraction in order to maintain your warranty. This is also our preferred method on residential carpet in homes, due to its rinsing and dirty and grit removal action. This ensures more soil, stain, odor removal and leaves the carpet residue free of chemicals. 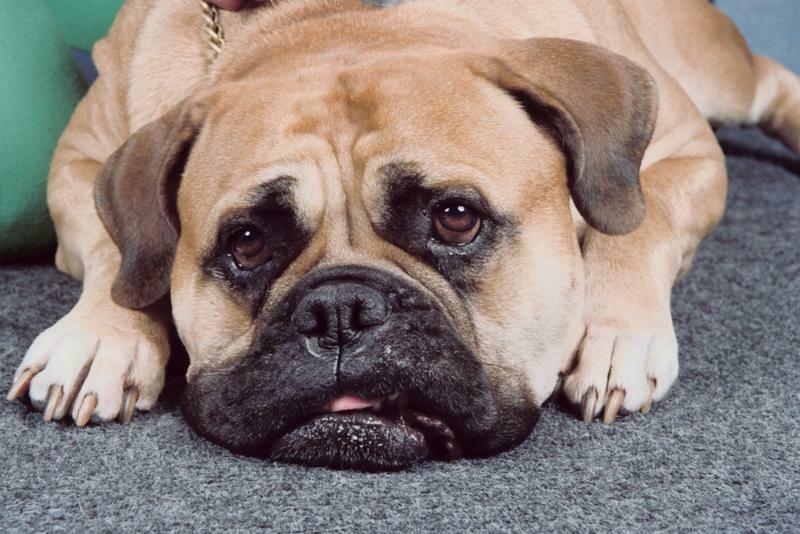 For heavily soiled residential carpets, and also depending on customer needs and requests, two or more methods can be combined to achieve restorative results. The best method and procedure for cleaning commercial carpets (businesses, retail, restaurants etc) depends on several factors. All the two carpet cleaning methods have advantages and disadvantages in commercial cleaning applications. Some limitations also exist for each method. The two methods can be used together in certain situations that might involve heavily soiled and stained carpets to achieve better results. This method involves a chemical solution that is released on the carpet through openings in a rotary pad driven by a 175 floor machine. The rotary action at 175 speeds converts the chemical solution into foam and works it into the carpet fibers, scrubbing at the same time. This method has very good scrubbing power especially for low pile commercial carpet or low cut pile carpet that is heavily soiled and stained. The shampoo method has no extraction in the cleaning process but rather relies on the customer vacuuming after the carpet dries. This method is more suitable for interim maintenance of commercial carpets, in between hot water extraction cleanings. Popularly known as “steam cleaning” due to the heated water / chemical solution that is used in cleaning the carpet. In this method, super heated cleaning solution, up to 200 degrees of more is sprayed under pressure into the carpet fibers and then quickly extracted with a vacuum tool. The spray action under pressure loosens soil and removes stains. The dirty solution that contains soil and stain causing contaminants is collected in a recovery tank and is disposed off safely in the sanitary waste system. The major advantage of this method is that it deploys the ability to flush out large amounts of soil, stains and odor causing contaminants in carpets. As explained above, it is the preferred method of the fiber producers, such as DuPont, Monsanto and Allied Signal, as well as carpet manufacturers like, Shaw, Mohawk, World and Queen. This method removes more contaminants than any other carpet cleaning method and as a result it is favored by the Environmental Protection Agency. The Institute of Inspection, Cleaning and Restoration Certification (IICRC) prefers this method as well, especially for residential carpets. Some carpets of higher quality have extended appearance, durability and texture retention that require hot water extraction cleaning every 12 to 18 months in order to maintain the warranty.